So the cool thing about knowing how to sew your own clothes is that theoretically you can sew anything you want. There's like an entire word of possible clothes to sew, clothes that are unlike any other clothes, clothes that fit your body and fit your own personal style. Basically what I've chosen to do with this huge world of opportunities is to sew black business casual skirts over and over. YEAH! 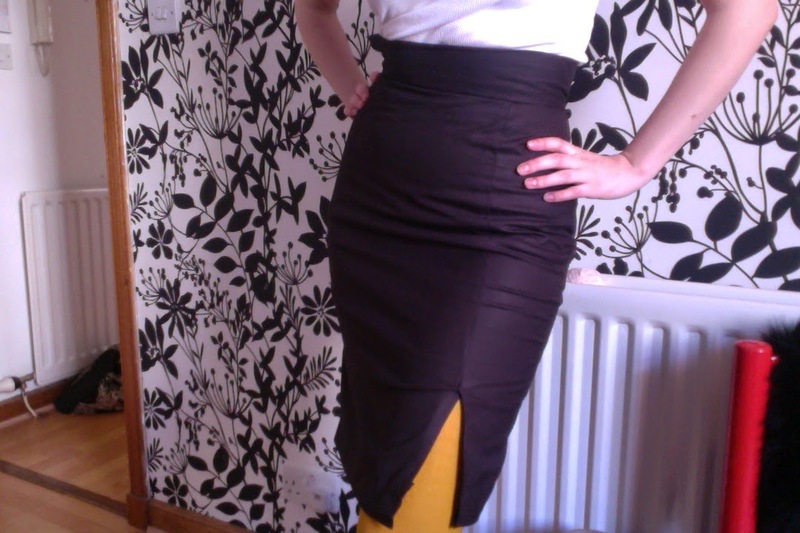 This is the first skirt I made! It's Simplicity 5256, and I think I sewed it in a 10 and then resized it a lot once It was all sewn together - took each side hem in, and deepened the darts in the back. Does anyone else do that? I always cut more fabric than I need because I'm terrible at measuring myself, but I figure it's better to have too much fabric than not enough. All in all though yeah, a pretty good pattern! Easy to follow, and I like how it gives you so many options in one pattern. I didn't bother to take a picture of the back because it's just a black zipper and the waistband is a liiiittle crooked - don't think it'll be noticeable in real life but I'm not sure not putting a picture of it up! 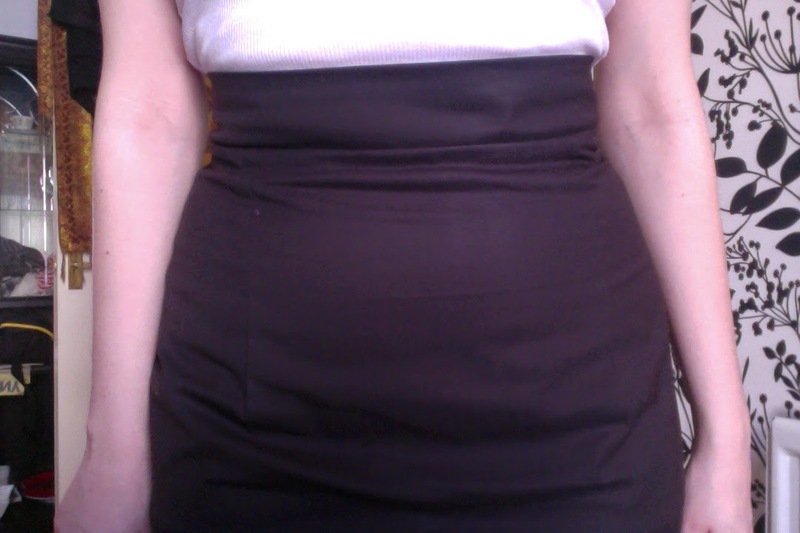 Also I sewed the zipper in inside out and was like, 'I am not uninstalling that zipper, that's staying inside out.' It's fine though it still works as a zipper. Ha ha ha...to be fair though this was my first successful sewing project using a pattern that I hadn't self-drafted, so a pretty big success! And then I whipped this bad boy out in a couple of hours this morning! I'm really pleased with it! I can really see it becoming a part of my everyday wardrobe? It's very versatile, flattering, and it fits really well. I used the same pattern, but this time I just used the back part to cut out pieces and did my own darts and waistband. 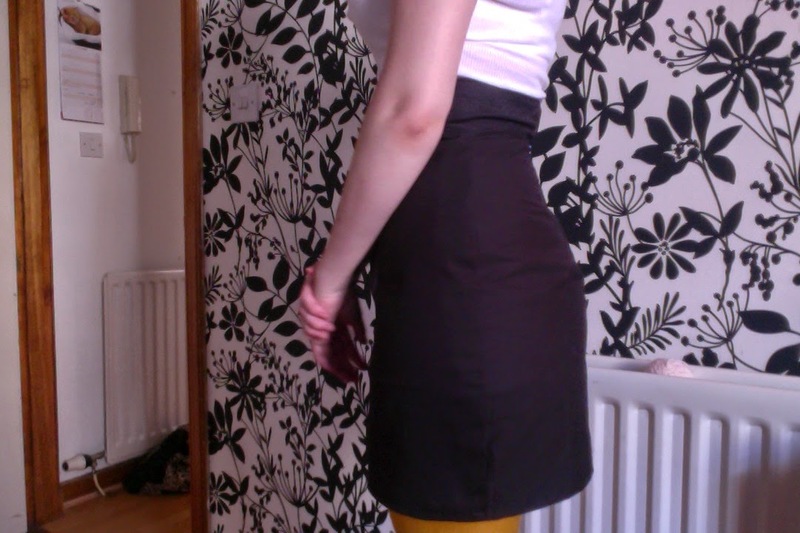 The zipper on this one is white (because I had a white zipper and didn't wanna buy anything for this skirt) but it's installed the right way round this time! Heck yeah. 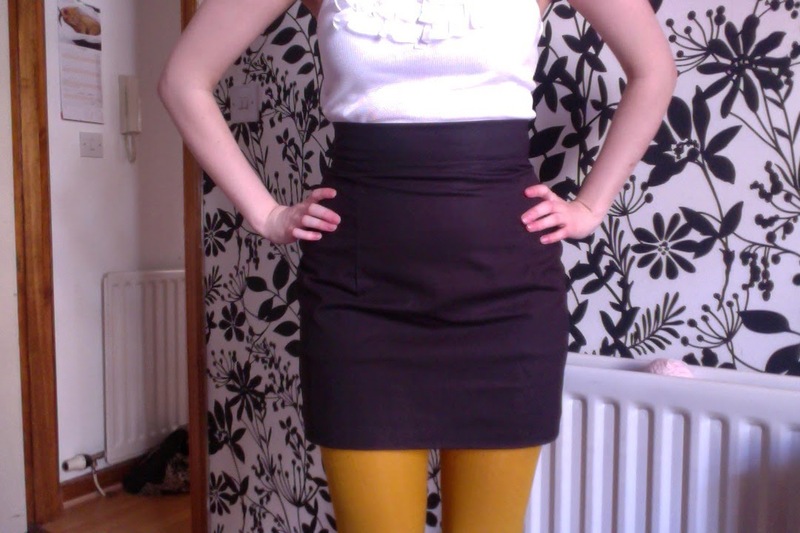 I really do love this skirt! I'm so pleased. 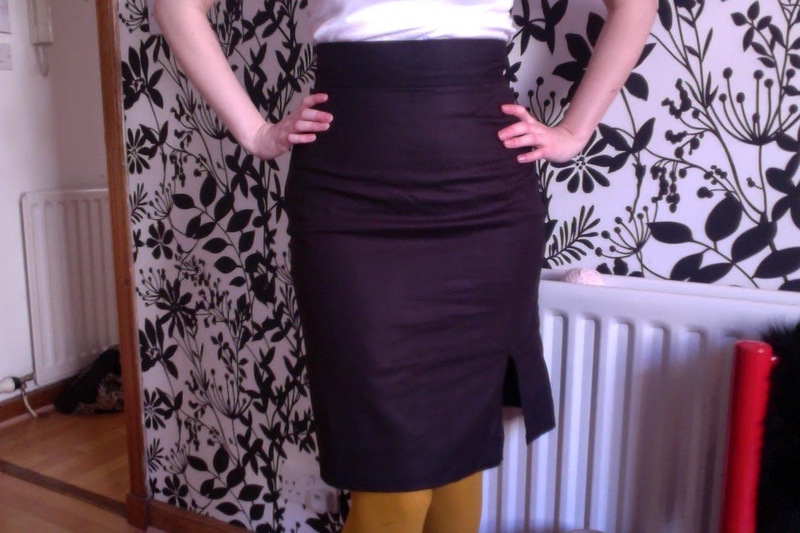 Also, I just wore those yellow tights to provide contrast with the black skirts but I'm actually kind of loving how it looks. Might bust that out some time for actual outside outfits, not just posing around the house outfits. Not only do I really like this skirt, but it also represents what I like about sewing your own clothes (I know, but bear with me) - I've made two nice skirts out of two metres of fabric and one pattern, that I can keep using and adapting to new clothes over and over. The pattern also comes with a pattern for trousers, I'm already planning ahead to my next big project! 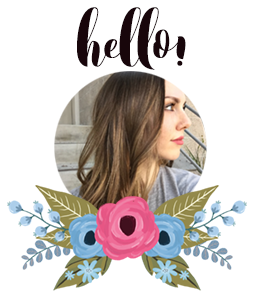 p.s., I've made some big changes to the blog layout! If you're viewing this in a reader why not come check it out?